Launched in January of this year, the never seen before 1964 Taylor-Fladgate Limited Release Single Harvest Tawny Port – $279.99 is the first of an annual release of product that has been aged for five decades from this producer’s extensive reserves. For those of you with birthdays or anniversaries of 50 years, this is a rare and unforgettable gift item for anyone celebrating this memorable milestone. During its five decades of aging in seasoned oak casks, this tawny has taken on an attractive pale mahogany color with olive amber highlights. On the nose the wine displays fine oaky aromas and complex spicy, nutty, cigar box notes against a warm mellow background of butterscotch and molasses. 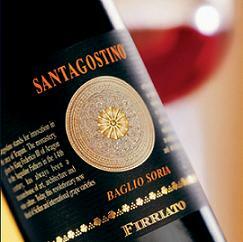 The smooth velvety palate is lifted by a crisp acidity which gives the wine an attractive freshness in spite of its age. The finish is immensely long with rich, spicy, black pepper flavors lingering on the palate. Taylor’s has decided to make a limited release, each year, of a Single Harvest Port made 50 years previously. Look for the exceptional 1965 next year. Further annual releases of 50 year old Single Harvest Ports will follow. Needless to say, extremely limited availability. 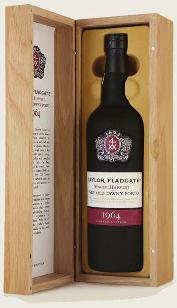 Check out the 1964 Taylor Fladgate Very Old Single Harvest Port here.. There are a total of 60 spots available for this standup, festival style event, it’s always a quick sellout so please register early to avoid disappointment. You can register online for this event here..